Plant Decommissioning in Scotland and the UK. 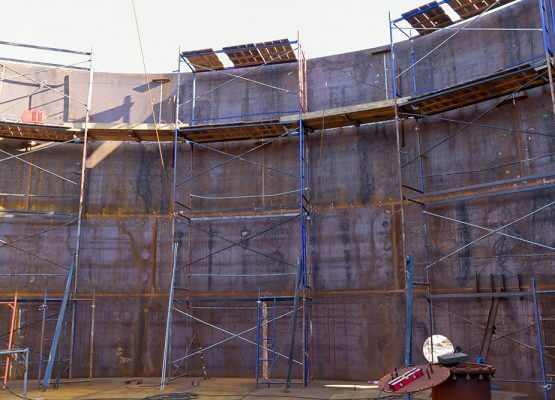 Merkland Tank has developed a particular expertise in the dismantling and safe removal of redundant plant or equipment from difficult and sensitive areas such as fuel depots, oil refineries and other working plant areas. We can also remove plant located on roofs or in other inaccessible locations. In addition to the use of standard oxyacetylene or manual cutters, we operate a wide range of non-spark equipment employing grit or abrasives, cold-cutting methods and air-driven mechanical cutters. 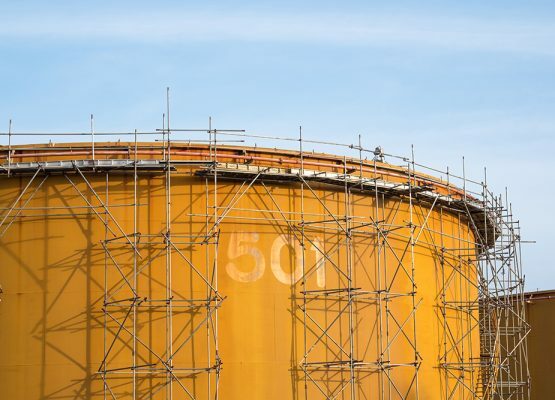 Tanks and equipment can also be removed by a combination of the above and by lifting tanks out by crane. These contracts are driven by a number of factors. In some cases equipment is being updated and old plant needs removed. Insurance companies are requiring redundant hazardous plant to be removed therefore reducing fire and explosion risk. In the case of schools and homes the tank room is not just a fire risk but can be utilised as a storage area when the tank has been safely removed. How Do We Project Manage Your Industrial Cleaning & Decommissioning Requirements? * The process begins with analysis of the clients needs and requirements by our experienced project team. The same team will be responsible for overseeing the project to completion. 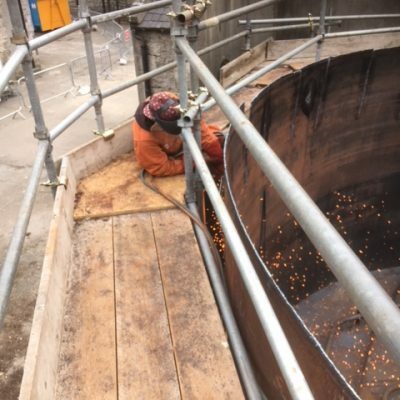 * Our team places the highest priority on Health & Safety, carrying out a full risk assessment to protect clients, employees our own operatives and members of the public. * Once the project is started we arrange regular management and operational briefing to agree work schedules and review Health, Safety and Environmental requirements. * Continuous hands on management and good communication allow the project to be completed on time and within budget. Over the years this has enabled us to build up successful working partnerships with many of our clients.